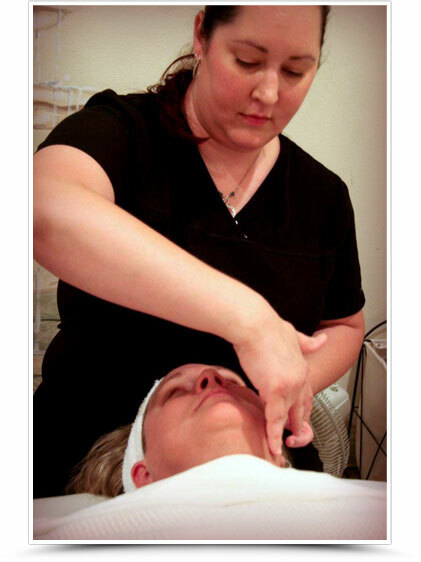 Spa Treatments or Massage Therapy in Mandeville, Covington | Best Day Spa on the NorthShore! 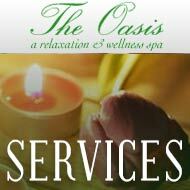 The Oasis Day Spa wants to help you start your work week right! If you're looking for complete rejuvenation, treat yourself to our celebrated "Rejuvenate Me" package that includes thirty minutes of a Back and Neck Massage, our Oasis Signature Facial and the Spa Pedicure. Improves the ability to concentrate. 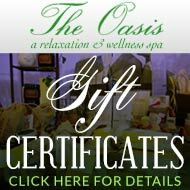 If you're in the New Orleans area, massage services in the relaxing environment of The Oasis Day Spa will be the perfect way to start the new year. We will do everything we can to make your time at our spa exactly what you had in mind, exactly what you need, to start the year off right. With regular massages, you're sure to benefit all year long. 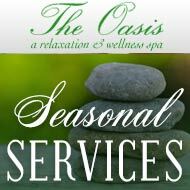 Voted "Best Day Spa on the Northshore", The Oasis Day Spa and our team of highly trained professionals is dedicated to enhancing your well-being. If you prefer a spa treatment, "The Body Glow" will renew your spirit and bring back your skin's youthful glow. Your treatment includes an exfoliation with a blend of sea and mineral salts, each formulated to tone while removing surface impurities and rough, dry skin. Following this cleansing, a special blend of moisturizing body milk is massaged into your skin, leaving it incredibly soft and smooth. View our comprehensive list of services, seasonal specials, or visit our gift certificate page today. Want to find out more? Just contact us!